One of the great places to ride when visiting Atlanta is what is often referred to as “The Gaps”. It is a series of mountain passes about 60 miles from Atlanta. I am not sure how many there are but I know one century ride does 6 gaps. On Saturday our son John, took me out to do 4 of the gaps, actually 5 gaps since the first one we did in reverse to get back to the start. We were joined by 3 of John’s friends. I had ridden a couple of the gaps before but for me, I had only ridden one of the five we did. It was over an hour drive to t he start location, near Turner’s corner cafe. We had planned to start around 8:30 am but got a later start since it was difficult for some of the riders to find the start. That was okay with me since it was still rather cool, and the extra half hour let things warm up. Within a mile of the start we started climbing up Neils. It is not steep but it was 8 miles from the start by the time we reached the summit. I was glad that everyone agreed to wait at the summits for all the riders. I took quite a bit longer than some of the riders. Still I finished Neels much better than the last time I did it in a few years ago when I was on a beta blocker medication. I descended slower than the younger riders but they waited at all the intersections where we changed course. As usual I had to keep my heart rate up high while on the flats trying to stay connected, which meant I did not get the time to recover as much as others. 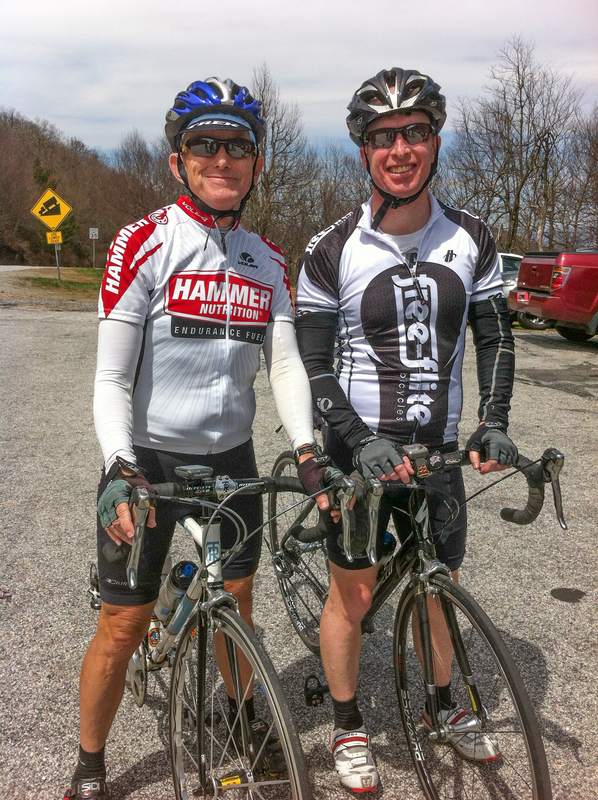 Nevertheless it was a honor to be riding with much younger riders who were great cyclists. The next two gaps were easier, but then we reached Hogpen, which was some climb. It was about a 2,000 foot climb, but what made it hard was the steeper grade that seemed to go on an on without the typical short break you get on most climbs. I really enjoyed the climb but was glad to reach the summit to see John, who had waited almost 15 minutes for me to make it up. After descending down the other side of Hogpen we biked for awhile and made a stop at a country store before the final climb. Then it was up the backside of Neels, which was not nearly as difficult as the front side. I grabbed a photo of the other riders at the top. There was some kind of store at that summit and I saw a rather interesting tree. 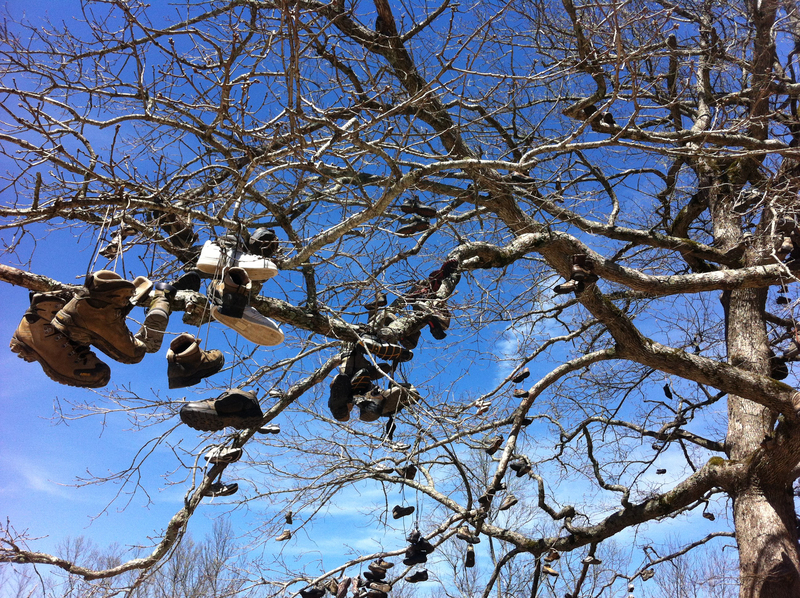 It had hundreds of shoes tied in the branches. I guess that people hiking the Appalachian trail would put their worn out shoes into the branches. The rest of the ride was mostly down hill for 8 miles back to the car. 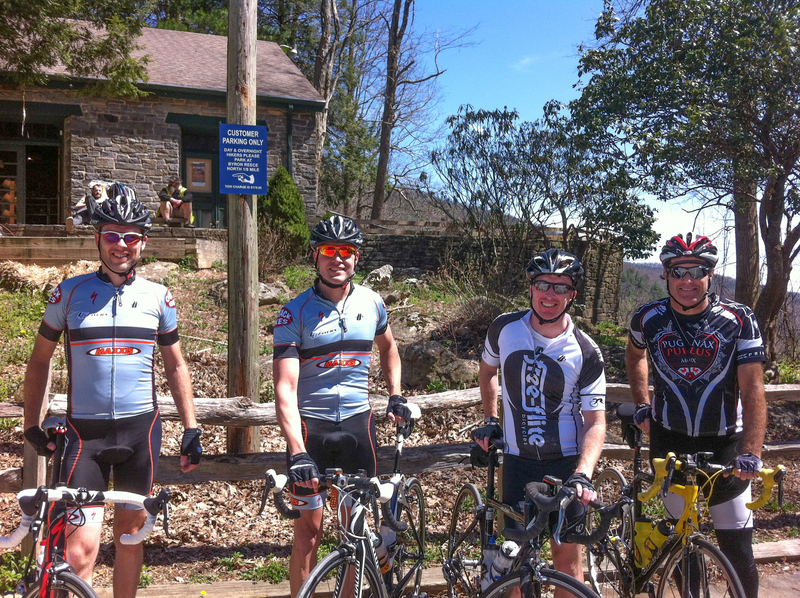 What a great day in the saddle. We all went out together for lunch and I really enjoyed the burrito after the hard ride. When I got home I see that I really had suffered once again, trying to keep up with John and his friends. 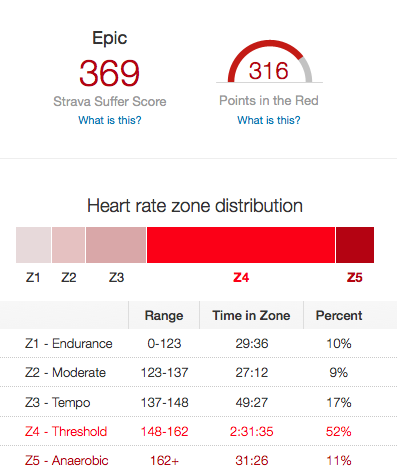 I spent more than half of the ride in zone 4, and over 10% in zone 5. Yes, it was truly an Epic Ride.